Can you enter into a contract without knowing it? According to many judges, the answer is yes. “Wrap contracts” are contracts that can be entered into by clicking on a link or on an “accept” icon and they govern nearly all online activity. Most of us enter into them several times a day and few of us think twice about it. Sometimes it’s because we don’t notice them. Even when we do, they don’t worry us. We think we know what they do — protect the company against litigious consumers and their greedy class action lawyers — and we think they won’t harm us. Think again. The harms caused by wrap contracts are insidious, prompting Theresa Amato of Citizen Works to refer to them as “online asbestos.” They are everywhere, dangerous to those exposed to them, and “like asbestos, some of the dangers will not necessarily emerge for decades when content thieves and data aggregators use consumer information to the detriment of the consumers.” Wrap contracts limit a company’s liability. They can also diminish your privacy rights, take away your intellectual property and even deprive you of your free speech rights. In the past couple of months, both Facebook and Google announced changes to their privacy policies, which would allow them to use their users’ information in paid advertisements. Facebook’s agreement, for example, states that: “You give us permission to use your name, profile picture, content, and information in connection with commercial, sponsored, or related content (such as a brand you like) served or enhanced by us. This means, for example, that you permit a business or other entity to pay us to display your name and/or profile picture with your content or information, without any compensation to you.” Sam Fiorella calls out the particularly egregious terms in Facebook Messenger’s Mobile App Terms of Service which permits the app to record audio and take pictures or videos without confirmation. 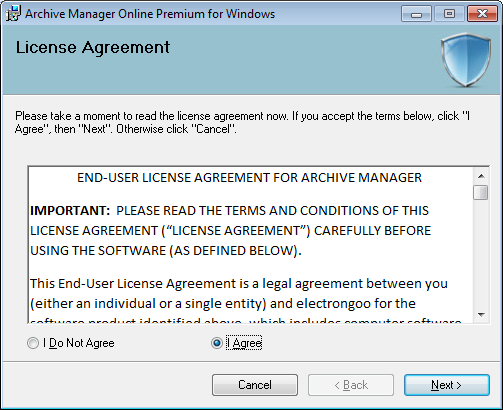 Users “agree” to these terms via wrap contracts which many fail to read. It’s not only privacy at stake. Last summer, the Fourth Circuit held that copyright could be assigned via a click. While most sites aimed at creative users currently seek only licenses sufficient to let them provide services, those licenses may vary. Some websites seek a “perpetual, non-terminable” license which means that the license continues even after the user has quit the site (or the site has quit the user). And as we’ve seen with Facebook and Google, terms can change at any time and it’s up to the user to stay alert to those changes — or risk losing control over their creative works. Courts construct users’ consent even when, in reality, most users are completely unaware of what the change in terms means. As long as a company makes the contract visible, courts are unconcerned with whether the user was actually aware of the contract. While much of the attention regarding the negative uses of wrap contracts has been focused on privacy harms and control over user content, other dangers lurk for the unwary consumer (and that means all of us). Wrap contracts can be used to set “rules” or codes of conduct which companies can enforce at their discretion. In some cases, they are used to protect users and enforce civility norms. Sometimes, however, they can be used to bully users who dare to complain about bad company behavior. In August, the online consumer review company, Yelp, filed a lawsuit against a user alleging breach of contract. The contract, Yelp’s online Terms of Service, prohibits the writing of fake reviews. Yelp claimed that the user, a bankruptcy law firm, had posted fake positive reviews to make it look good and encouraged others to do the same. The case is unusual because Yelp rarely sues its users for posting fake reviews, even fake negative reviews that may harm a business. Rather than filing a lawsuit, Yelp could simply have removed the reviews and banned the law firm from its site. What takes Yelp’s lawsuit out of the realm of the unusual and into the realm of the alarming is that McMillan, the law firm that Yelp is suing, had previously sued Yelp in small claims court, claiming that it had been coerced into advertising on the site to receive favorable reviews. The small claims court agreed with McMillan and awarded a $2700 judgment against Yelp. That judgment was overturned on appeal. The reason? Under the terms of Yelp’s wrap contract, the dispute was subject to mandatory arbitration. McMillan estimated that the costs of pursuing arbitration pursuant to the clause would cost it about $4,000-$5,000. In another disheartening example of abuse by wrap contract, a company threatened to fine a consumer named John Palmer $3500 for posting a negative review that his wife, Jen, wrote about it on a consumer review website after he unsuccessfully tried to place an order from the company’s website. The company, KlearGear, didn’t claim that the review was false; rather, it claimed that the review ran afoul of a non-disparagement clause in the company’s online terms of sale. The Palmers claim that the company reported him to a credit reporting agency which negatively affected his ability to obtain loans for a new car and home repairs. What’s particularly troubling about this example is that it’s unclear that John Palmer was even subject to KlearGear’s contract since the company did not complete the sale to him (which was the basis of his wife’s negative review). Even if he were, it doesn’t seem he violated it since it was his wife who wrote the review. Yet, very few consumers would be willing to sue to test the validity of a wrap contract in court. The wrap contract, by its “legal” nature, can be used to intimidate consumers and deter them from acting in ways that are perfectly lawful. They allow companies to change the rules that would ordinarily apply between a company and a consumer, giving companies all the power to enforce provisions to their advantage. The solution to wrap contracts requires raising consumer awareness of its potential dangers. Cognitive biases work against the consumer. Consumer optimism and myopia make it easy to ignore latent harms in favor of immediate gratification — why fret about hidden terms when you want to get online now? The herd effect lulls users into a false sense of security since everybody else is clicking “agree” too. But the consumer is hardly to blame here. There is simply too much information that it would be unrealistic to expect consumers to read every wrap contract they encounter, but consumers can and should make some noise when they encounter unfair terms. They should complain to companies, the state legislature, their friends. (Faircontracts.org has other suggestions here.) What they should not be is indifferent about the status quo. Wrap contracts don’t affect just “some” consumers — they affect all of us. The biggest danger with wrap contracts may be how they subtly push the boundaries of what is considered acceptable business conduct, cheapening the meaning of “consent” while eroding our rights one click at a time. Nancy S. Kim is the author of Wrap Contracts: Foundations and Ramifications. She is a law professor at California Western School of Law and a visiting professor at the Rady School of Management, at the University of California, San Diego. Read her previous OUPblog article on Carnival Cruise. Image credit: Example of a wrap contract via MSWHS. Used for the purposes of illustration. “As long as a company makes the contract visible, courts are unconcerned with whether the user was actually aware of the contract.” Perhaps this is merely imprecisely put, but I don’t think it’s strictly correct. As I understand it courts have been concerned that site owners (a) get express agreement from the user (eg via a checkbox), and (b) attempt to notify users of material changes, not just upload the new version and claim the user accepted by continuing to use the service. In other words, courts do seem concerned that users are aware of and expressly agree to the contract terms. Of course, whether being “aware of” the terms means “understanding” them is an entirely different matter. Unfortunately, it is correct. Actual consumer awareness is not required (and I am not equating awareness with understanding or reading terms).